Hurry! 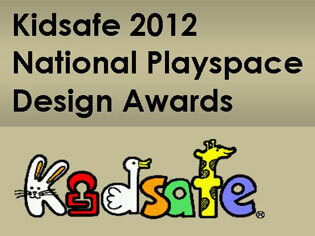 Less than 2 weeks to go until the closing date of the Kidsafe 2012 National Playspace Design Awards. Get your entries in today! 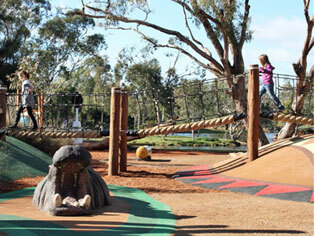 The Kidsafe 2012 National Playspace Design Awards will recognise excellence and innovation in the provision of safe, creative playspaces Australia-wide. The Awards are open to service providers, design professionals, students, landscape contractors and playground providers in all sectors. This is a great opportunity to showcase current playspace design and development achievements in children’s services, schools and public playspaces. The Awards aim to promote inspirational and innovative best practice play facilities and encourage healthy participation in recreational activities for all children. E.g. 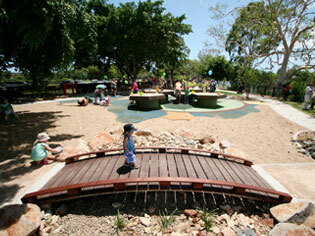 sound items, shade, sandpit covers etc. Entries close Friday August 31 at 5pm AEST. 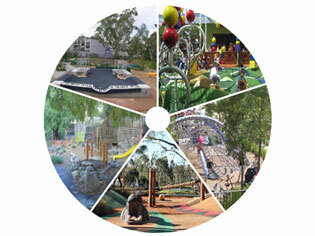 Images (top to bottom): Winner Kidsafe 2010 National Playspace Design Awards – Regional Playspaces: Safari Park, Western Plains Zoo, Taronga Conservation Society, Spackman Mossop and Michaels; and Highly Commended Kidsafe 2010 National Playspace Design Awards – Regional Playspaces: Riverway All Abilities Playground, Townsville City Council.